Kalista Vol 2 Catalog : Beautifull 10 Weaving Range Designer Sarees By Lifestyle.Latest Wholesale Party Wear Saree Lifestyle Kalista Vol 2 Full And Single Suit Catalog By Lifestyle At Wholesale Price Surat. Golden Eye Catalog : Beautifull 12 Weaving Range Designer Sarees By Rekha Maniyar Fashions .Latest Wholesale Party Wear Saree Rekha Maniyar Fashions Golden Eye Full And Single Suit Catalog By Rekha Maniyar Fashions At Wholesale Price Surat. Grace Vol 10 Catalog : Beautifull 13 Weaving Range Designer Sarees By T&M.Latest Wholesale Party Wear Saree T&M Grace Vol 10 Full And Single Suit Catalog By T&M At Wholesale Price Surat. Jamini Catalog : Beautifull 6 Weaving Range Designer Sarees By Lifestyle.Latest Wholesale Party Wear Saree Lifestyle Jamini Full And Single Suit Catalog By Lifestyle At Wholesale Price Surat. Spring Breeze Ayaan Catalog : Beautifull 10 Weaving Range Designer Sarees By Vipul Fashion.Latest Wholesale Party Wear Saree Vipul Fashion Spring Breeze Ayaan Full And Single Suit Catalog By Vipul Fashion At Wholesale Price Surat. Mintorsi Manorma Catalog : Beautifull 16 Weaving Range Designer Sarees By Varsiddhi Fashion.Latest Wholesale Party Wear Saree Varsiddhi Fashion Mintorsi Manorma Full And Single Suit Catalog By Varsiddhi Fashion At Wholesale Price Surat. Picasso Catalog : Beautifull 10 Weaving Range Designer Sarees By Silk Villa.Latest Wholesale Party Wear Saree Silk Villa Picasso Full And Single Suit Catalog By Silk Villa At Wholesale Price Surat. Shehnai Catalog : Beautifull 12 Weaving Range Designer Sarees By Shangrila.Latest Wholesale Party Wear Saree Shangrila Shehnai Full And Single Suit Catalog By Shangrila At Wholesale Price Surat. Issue Vol 2 Catalog : Beautifull 8 Weaving Range Designer Sarees By TFH Celebrity.Latest Wholesale Party Wear Saree TFH Celebrity Issue Vol 2 Full And Single Suit Catalog By TFH Celebrity At Wholesale Price Surat. Karla Silk Catalog : Beautifull 10 Weaving Range Designer Sarees By Rajtex Saree.Latest Wholesale Party Wear Saree Rajtex Saree Karla Silk Full And Single Suit Catalog By Rajtex Saree At Wholesale Price Surat. Shreya Catalog : Beautifull 12 Weaving Range Designer Sarees By Ardhangini.Latest Wholesale Party Wear Saree Ardhangini Shreya Full And Single Suit Catalog By Ardhangini At Wholesale Price Surat. Anamika Catalog : Beautifull 9 Weaving Range Designer Sarees By Hitansh Fashion.Latest Wholesale Party Wear Saree Hitansh Fashion Anamika Full And Single Suit Catalog By Hitansh Fashion At Wholesale Price Surat. Mintorsi Manjri Catalog : Beautifull 10 Weaving Range Designer Sarees By Varsiddhi Fashion.Latest Wholesale Party Wear Saree Varsiddhi Fashion Mintorsi Manjri Full And Single Suit Catalog By Varsiddhi Fashion At Wholesale Price Surat. 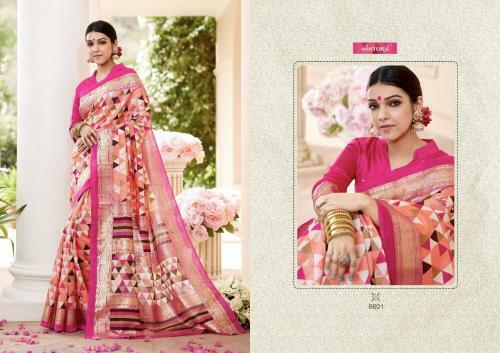 Nashika Vol 3 Catalog : Beautifull 9 Weaving Range Designer Sarees By Vishal Prints.Latest Wholesale Party Wear Saree Vishal Prints Nashika Vol 3 Full And Single Suit Catalog By Vishal Prints At Wholesale Price Surat. Silk Touch Vol 4 Catalog : Beautifull 12 Weaving Range Designer Sarees By Hitansh Fashion.Latest Wholesale Party Wear Saree Hitansh Fashion Silk Touch Vol 4 Full And Single Suit Catalog By Hitansh Fashion At Wholesale Price Surat. Shrinika Catalog : Beautifull 10 Weaving Range Designer Sarees By Shree Maataram .Latest Wholesale Party Wear Saree Shree Maataram Shrinika Full And Single Suit Catalog By Shree Maataram At Wholesale Price Surat. Mugdha Saree Catalog : Beautifull 8 Weaving Range Designer Sarees By Mugdha Saree.Latest Wholesale Party Wear Saree Mugdha Saree Mugdha Saree Full And Single Suit Catalog By Mugdha Saree At Wholesale Price Surat. 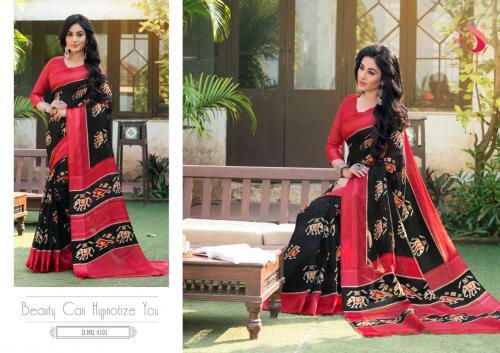 Aaradhya Catalog : Beautifull 20 Weaving Range Designer Sarees By Ambica Fashion.Latest Wholesale Party Wear Saree Ambica Fashion Aaradhya Full And Single Suit Catalog By Ambica Fashion At Wholesale Price Surat. 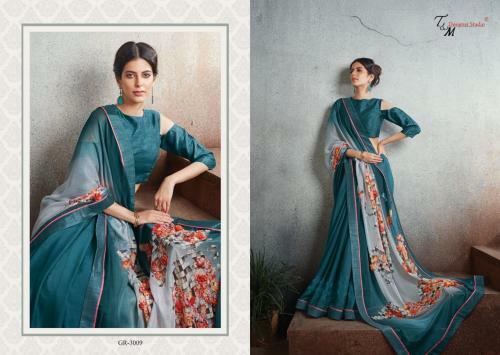 Ruby Catalog : Beautifull 8 Weaving Range Designer Sarees By Silk Villa.Latest Wholesale Party Wear Saree Silk Villa Ruby Full And Single Suit Catalog By Silk Villa At Wholesale Price Surat.